Includes oceanfront ceremony location, two-hours of photography, champagne & more! 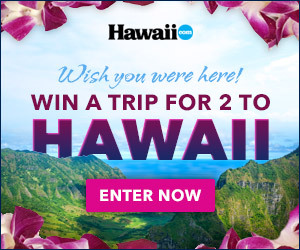 Looking to get away on a family vacation to Maui? An all inclusive Maui vacation package is a convenient way to book your trip to Maui and save. Each Maui package deal provides roundtrip airfare, hotel, meals, & various activities. These travel deals change everyday so if you see something you like, book it before it’s too late. Maui is the perfect blend of city and country. You’ll find great shopping, dining, & accommodations in Kihei, Wailea, Lahaina, & Kaanapali. Conversely, Hana, Iao Valley, & Makawao offer breath taking scenery and a small country town feel. The Island of Maui is also home to natural wonders like Haleakala, the Road to Hana, world class snorkeling at Molokini, and whale watching, both from the shore and from a boat. Our Maui vacation packages include accommodations at one of the many hotels on Maui; choose from the picture-perfect Lahaina town where you’re just a walk away from great shopping and dining or the high-end resort district of Wailea. Explore more of what Maui has to offer.